Over the years, the occupants have included: Pacific Bldg. & Loan Assoc., M. Schmidt & Son Merchant Tailors, Tacoma Savings & Loan Assoc., All About Travel, Pacific Rim Restaurant, Zeppo Italian Restaurant, and Seven Cities Restaurant. Wylan started painting his large murals in the 1980s. This was his 21st mural and I remember taking my lunch break from my downtown job at the time to watch him paint. I was fascinated. 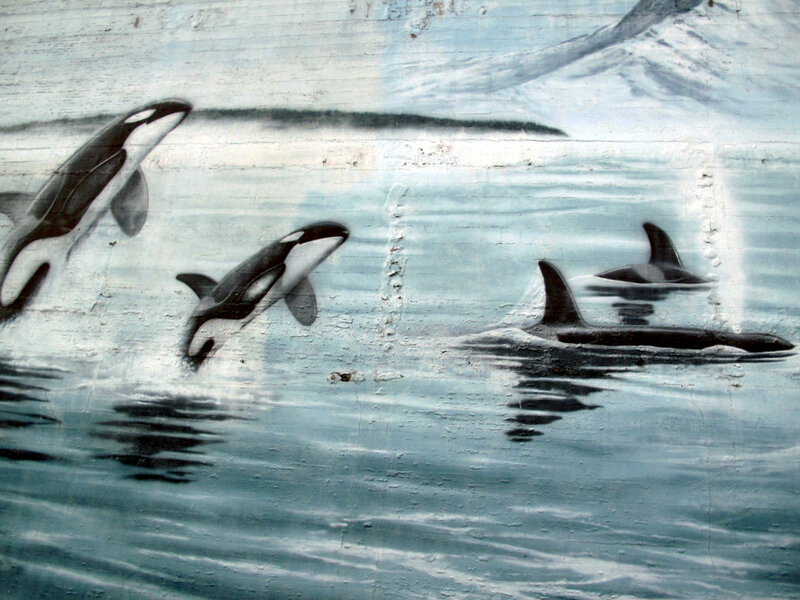 There were four Whaling Walls in Washington State, but sadly now only the Tacoma one remains. 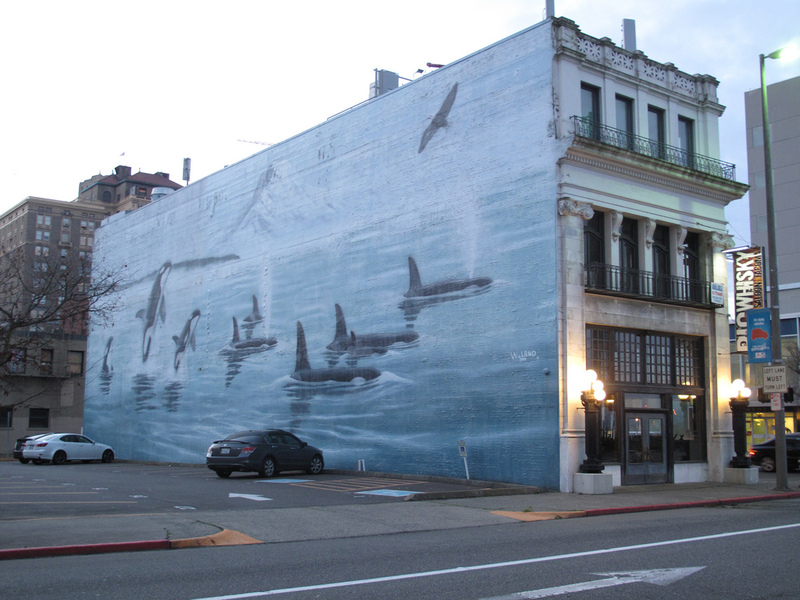 This entry was posted in Art -- there is art here!, Historic Sites, National Historic Register, Office Space, Over 21, Restaurants, Tacoma, WA State - Pierce County and tagged Big Whisky Saloon, Edward Health, Edward J. Bowes, historic, historic register, killer whale, killer whales, marble, mural, murals, orcas, Pacific Building, Tacoma, Washington Orcas, Whaling Wall, Wyland on November 28, 2012 by admin.